The mermaids of Weeki Wachee Springs State Park have delighted visitors since 1947. Today, visitors can still witness the magic of the mermaids, take a river boat cruise and canoe or kayak on the Weeki Wachee River. The 538-acre park features a first magnitude spring and a 400-seat submerged theater for watching the live mermaid show. Mermaid shows are offered daily in the Mermaid Theater. The Mermaid Show begins at 11 a.m. and 3 p.m. and Fish Tails is offered at 1:30 p.m. Times are subject to change. Buccaneer Bay offers a fun-filled flume ride for thrill seekers of all ages. Our white sandy beach area and covered picnic pavilions provide a relaxing day for your entire family. Weeki Wachee’s animal shows provide audiences with an entertaining and educational look at domesticated birds and reptiles. Located on U.S. 19 at the intersection of SR. 50, just North of Spring Hill and South of Homosassa Springs. 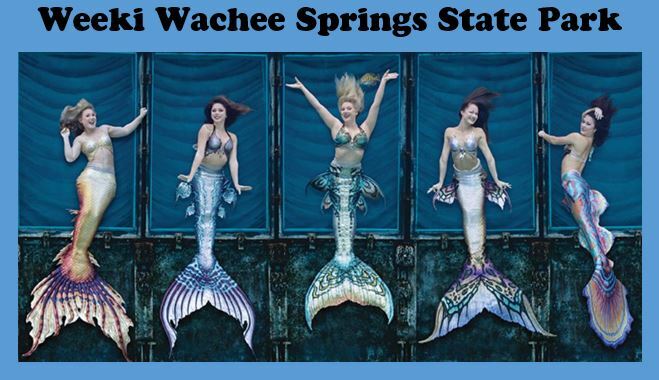 It’s a great time of year to visit Weeki Wachee Springs State Park! It’s a little slower than our busy summer season. The weather is lovely and of course the mermaids are here swimming in the crystal clear spring water!! Our first magnitude spring is a wonderful natural resource that creates the clear waters that feed the Weeki Wachee River and the Buccaneer Bay swimming area at the park. Our new park concession is in business with some tasty food at the Mermaid Galley and they are bringing in new merchandise to the gift shop. If you’d like to support the park, consider joining the Friends of Weeki Wachee Springs State Park – our citizen support organization. That group helps us to put on special events, supports park improvements and more. The daily mermaid shows are fun for everyone. Be sure to check out our Facebook page for updates on our park show schedules and happenings. The Canoe/Kayak launch site at Weeki Wachee Springs State Park’s Paddling Adventures, is due to be upgraded soon for environmental and safety improvements. An alternate launch will be provided within the park during the construction project, which is being funded by Southwest Florida Water Management District. Operations will continue, and guests will still be able to enjoy paddling the Weeki Wachee River. As always, reservations are suggested. Parking will remain in its current location, and guests will be transported to the temporary launch site. 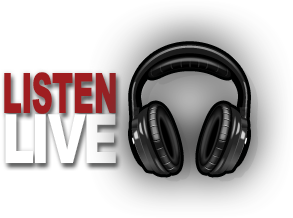 Please continue to follow us on social media, and our web site for future updates. Come out to visit this little piece of the past. It’s like no other Florida state park!